GAS ALARM SYSTEMS/ ALVI AUTOMATION INDIA Offer Fischer Product Flow Measurement by Using digital FD38/39 pressure transmitter. the chemical / petrochemical sectors, oil and gas industries, energy and steam generation, pharmaceutical, paper and pulp production as well as in the food and luxury food industries. 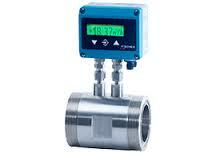 Those instruments serve to cover numerous sector specif-ic applications. the plant performance. In order to control its output as accurately as possible and to achieve a high degree of efficiency, the determination of the flow volume is of utmost importance. The compact design of the FD38/39 is an obvious advantage. There is no additional tubing necessary. The use of capillaries enables to cover various temperature ranges which may also exceed the admissible medium tempera-ture of the measuring cell. In addition, the capillaries also serve to balance machine vibrations and potential pres-sure shocks caused by pulsating media. – robust stainless steel design for effec-tive media resistance.